“V” Ends on a Up Note in the Ratings! The season (possibly series) finale of “V” saw a brief uptake in the ratings, ticking up 6% to a 1.8 rating with the 18-49 demo. 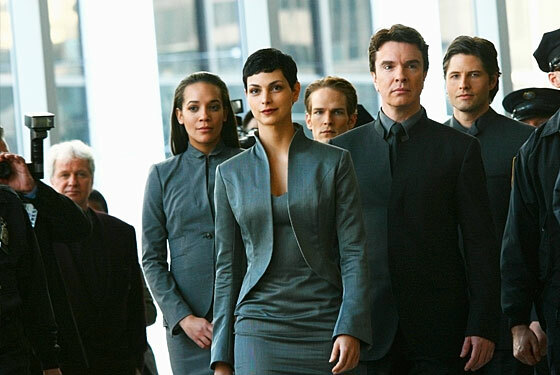 This could well be the end for V. Most ratings mavens suggest there is little chance of a renewal for the series. We get their logic. But a little bird tells us they’re wrong. And that ABC is looking for a way to make continuing this series economically viable. We’ll see. But this little bird hasn’t steered us wrong in the past. 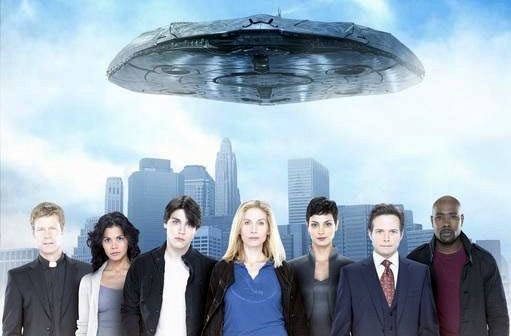 Another Ratings Slip for “V”! Poor “V”. It just can’t seem to catch a break. After the ratings seeming to stabilize a few weeks ago, now they’ve had their second ratings slip in as many weeks. This time down 6% to a 1.7 with the 18-49 demo. Is this just a statistical anomaly or a trend? We learn towards believing the former. But fear it’s the latter. 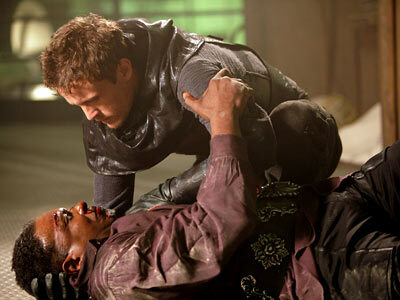 Sci-fi series “V”, after a week of stable ratings, saw another slip. The Tuesday ep dropped 5% in the 18-49 demo, resulting in a rating of 1.7. This show is clinging to the bubble. On the edge between renewal and cancellation. So we’ll c0ntinue to keep an eye on it. “V” fans have been on tenterhooks. Is their show sticking around? Is it gonna be canceled? And the ratings haven’t been much help. They’ve been up. They’ve been down. They’ve been bouncing all around. But finally this week it appears they’ve stabilized, holding at a 1.9 rating (18-49) for the second week running. Although this doesn’t secure the future of the show, it makes a future look much more likely. “V” Down, Series Lowest Rating Yet! Sandwiched between a repeat of “No Ordinary Family” and the cancellation bound “Detroit 1-8-7”, “V” racked up its lowest rating in series history, landing a 1.7 with adults 18-49. Some industry analysts are suggesting 1.7 is the new 2.o, but we’re not buying it. We think this series needs a significant bounce next week if it wants to avoid joining the cancellation pool. “The Cape” Ratings Down, “V” Ratings Up! A mixed week for two of our favorite shows. The third episode of “The Cape” saw a 31% fall to a 1.8 rating with adults 18-49. 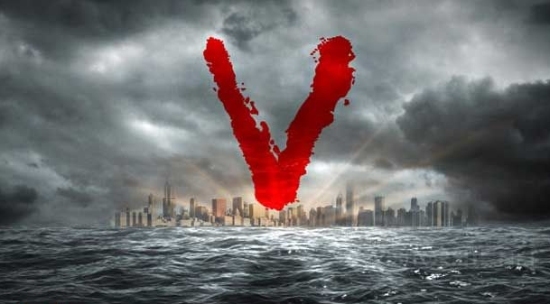 While “V” had a modest recovery, up 5%, lifting it to important 2.0 ratings threshold with adults 18-49. Neither show is at immediate cancellation risk. But both are hovering on the bubble. We’re sad that “The Cape” was given a Monday slot. Its strong family appeal made it a perfect fit for Sunday. But we’re glad to see how the story is developing on “V”. It’s really beginning to live up to its promise. Still not at the level of Kenneth Johnson‘s original mini-series. But it’s getting there. Definitely getting there.